where the Ice Age created an abundance of rocks and lakes. We have naturally beautiful surroundings. 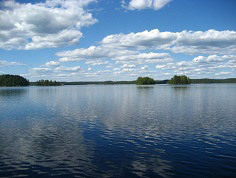 Rock and Lake cottages, cabins and villas are situated in middle of beautiful Finland, also known as Finnish Lakeland. 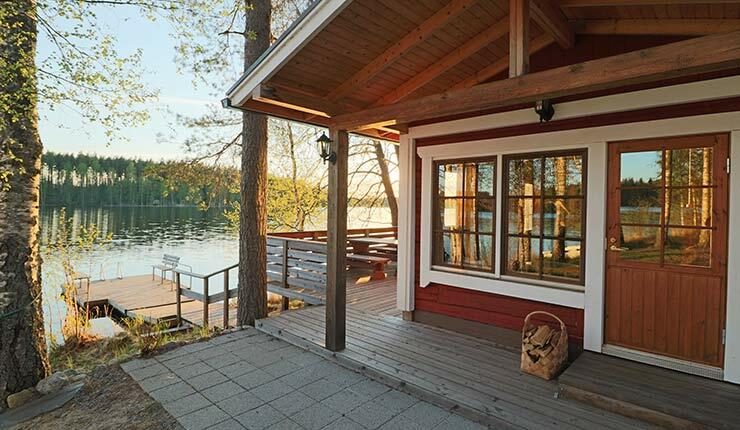 Each of these have private beach, jetty, lakeside yard, boat and, of course, Finnish sauna. This means that your cottage holiday will offer privacy and tranquility in the beautiful lakeside nature, and that you can easily go fishing and rowing on the lake. 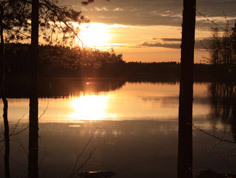 The Finnish Everyman's Right allows also wide possibilities for enjoying the nature by trekking, hiking, biking and picking berries and mushrooms. 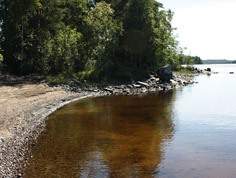 Finnish Lakeland is famous for its pure nature and clean lakes. Come and enjoy different and exciting outdoor activities in the Finnish Lakeland, all year round. Finland is the land of thousand lakes where you can experience the four seasons; the lakeside nature variety from Midnight Sun to winter wonderland. These facts make Finland exciting and exotic, but still safe and easy to reach. 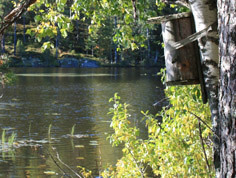 Rock and Lake has specialized in fishing. We offer many types of guided fishing trips of which many have catch guaranteed status. We also organize boating and canoeing in the blue and green labyrinth that the lakes, islands and streams create. 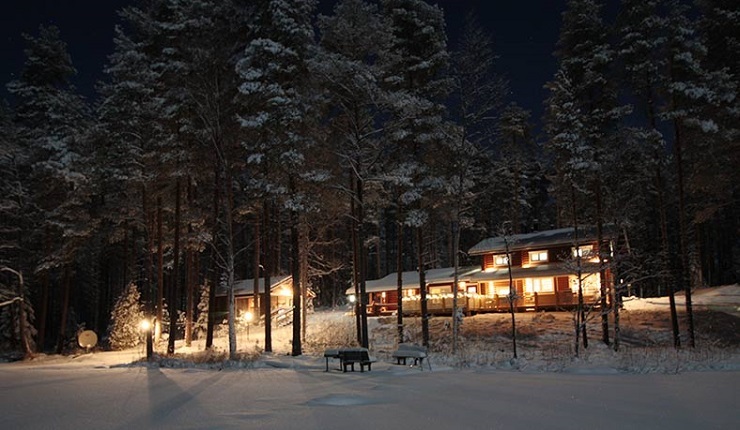 Christmas in Finland is snowy and peaceful landscapes, magic of the Kaamos –time (which means very short days) and cozy, warm and well-equipped cottages and villas. Every Rock and Lake holiday home is equipped with at least one fireplace and sauna. Typical Finnish winter weather is great for outdoors: walking in snowy forests and on forest roads, enjoying husky safaris and snow mobile rides, skiing and skating. The temperatures are not too cold for outdoors and the air is fresh. Come and enjoy a Christmas in the land of Father Christmas or Santa Claus as he also is called! Sauna, Fishing and Midnight Sun or Winter Wonderland - everything that you need for an authentic outdoor experience in Finland! 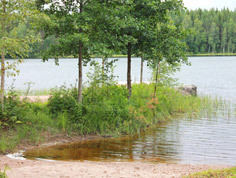 Come and enjoy different and exciting outdoor activities in the Finnish Lakeland all year round. 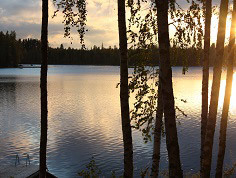 Experiencing the traditional Finnish sauna and swimming in the lake are obvious choices to put on the summer and autumn "to do”- list, as well as enjoying a barbeque. Go on a no-hassle adventure into the unique natural settings by boat: fishing and enjoying traditional lakeside views while feeling the fresh breeze on your skin. 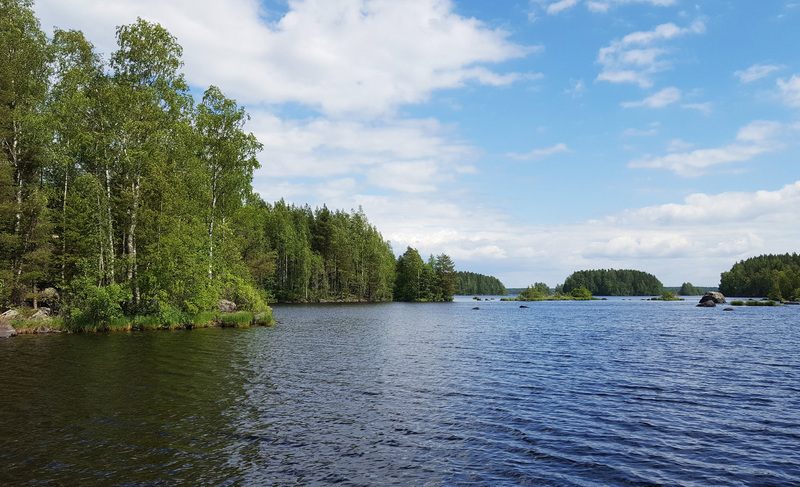 Other activities are to discover the magical scenery in Finnish Lakeland including canoeing in the many nature conservation areas nearby, or hiking in the peaceful forest and enjoying the nature's relaxing sounds. Walking or skiing in the snowy woods is a fantastic way to take in the other extreme of the Finnish climate: The winter wonderland. Whether alone or with a group of friends or your family, you'll want to come back to Rock and Lake to relive the unique experience. Almost 90% of Finland's surface area falls under Everyman's rights law. More than 15% of the Lakeland territory is covered with water. And where there is water, there is fish. Mikkeli has a big number of boutiques and shopping centres. PuulaGolf is also known from its easy-going and warm atmosphere, where everyone feels welcomed. In Mikkeli you will find an action entertainment park Visulahti – a perfect place for a family holiday. 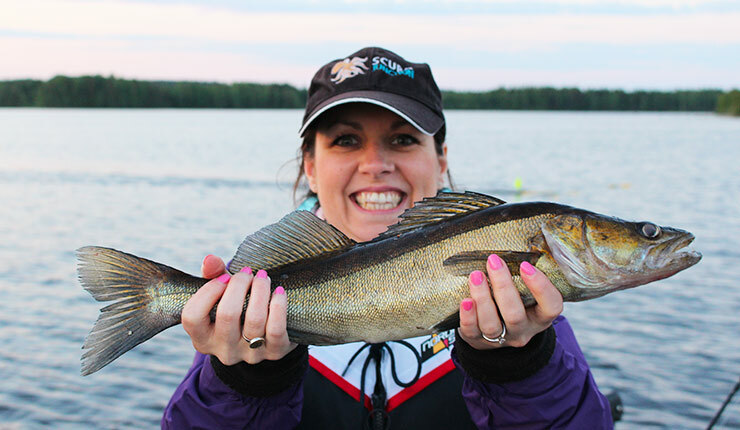 Rock and Lake is an excellent choice for an active fishing holiday in Finland. A husky safari is a great way to enjoy the Finnish winter wonderland! The Finnish Lakeland is an abundance of rocks and lakes, created by the Ice Age. After the ice melted the nature slowly and carefully covered parts of the land by typical Finnish forests; stately pines, beautiful birches and mixed forests till the shoreline. On top of this Finns has added the high-quality infra-structure, so you can easily come and enjoy the sounds of the Finnish nature and have a lot of space of your own. Rock and Lake is located in the southern part of Finland. Distance from the Helsinki-Vantaa airport is approximately 240km. This takes less than 3 hours by car. Rock and Lake is a network of cooperating local companies who want to offer high-quality outdoor activities and accommodation in cottages, cabins and villas for travelers.